Why Offline Bitcoin Cash ? Computer security is hard. Physical security is much easier to accomplish. 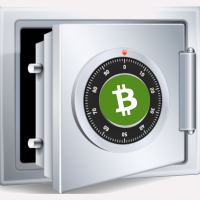 Using Offline Bitcoin allows you to store your wealth securely in an offline vault. Your own vault that you control physically. You can transfer needed amounts to online wallets on your phone or computer. Bitcoin is just like cash, you should only carry around spending money. 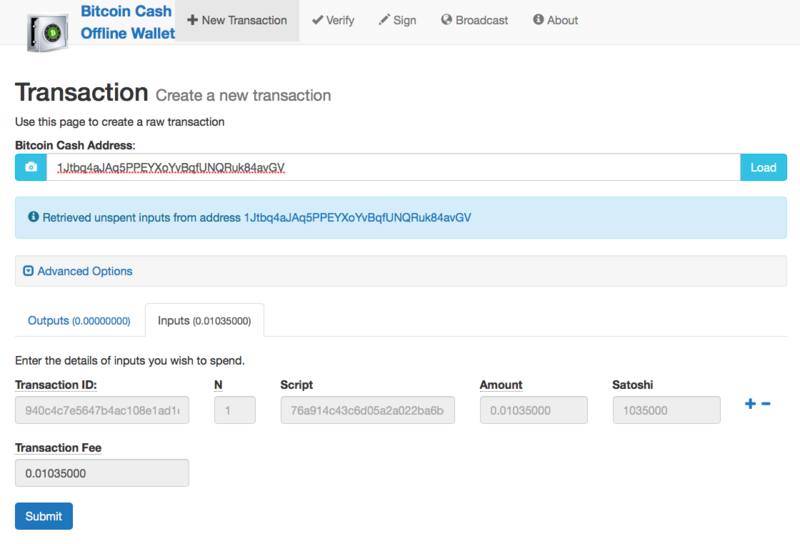 What is an Offline Bitcoin Cash Transaction ? 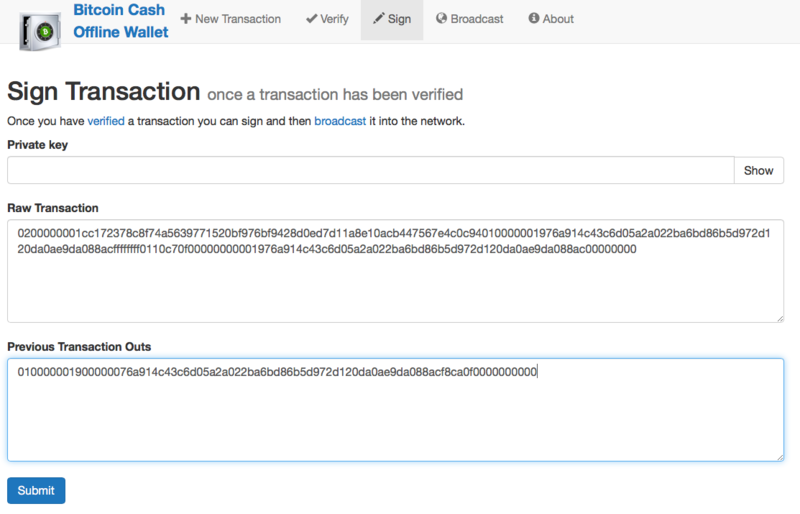 An offline Bitcoin transaction is signed with a computer that is not connected to the internet (or any network). Assuming the installation process was secure, the offline computer can not be reached by hackers. 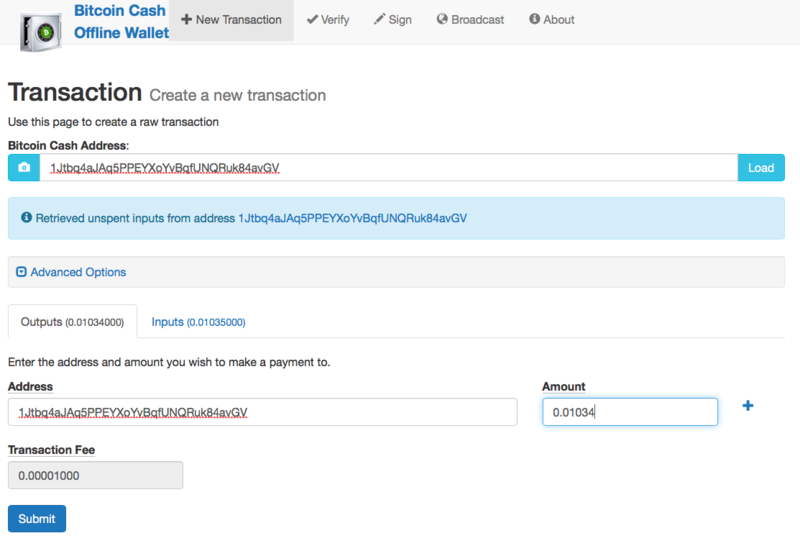 To create a Bitcoin payment the offline machine creates a Bitcoin transaction. It can be carried by an USB flash disk or QR code to an online machine. 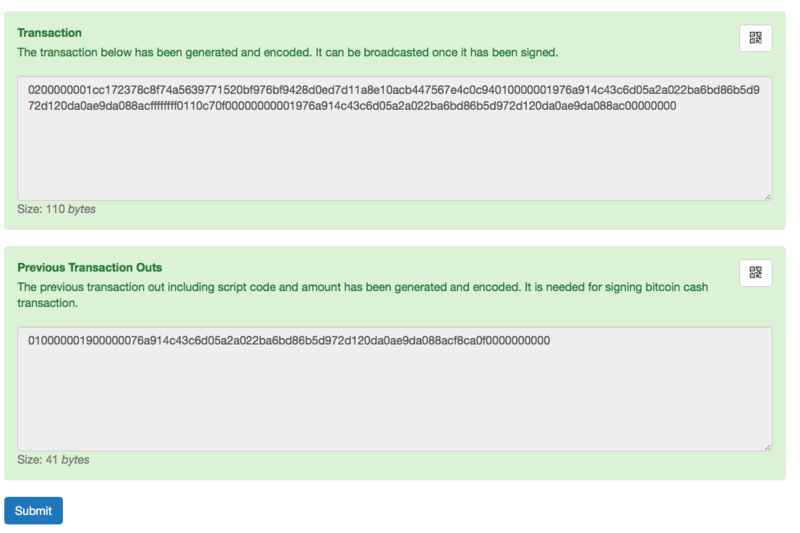 From there it can be broadcast normally to the Bitcoin Network. Your private key never touches the Internet. Maximum Security. Step one get your Balance Data for you Bitcoin Cash Address.